Kirtland Records: The Fixx To Release New LP "Beautiful Friction"
Hailing from England, The Fixx has been often heralded as one of the most innovative bands to come out of the MTV era. The Fixx are instantly recognizable, with three #1 hits, five in the Top 5, a dozen reaching the Top 10 and millions of albums sold worldwide. Songs such as “One Thing Leads To Another”, “Red Skies” and “Saved By Zero” remain everyday staples on radio station playlists that continue to break new acts inspired by the era that The Fixx helped to define. The Fixx began thirty years ago with MCA Records and the gold selling album Shuttered Room which spent an entire year on the Billboard Hot 100 and spawned the hit single “Stand Or Fall”. Next came 1983’s ground breaking Reach The Beach, a double platinum selling effort which included the singles “Saved By Zero” and “One Thing Leads To Another”. It is rare for an audience to experience a band that has continued to thrive for thirty years.The Fixx are: Cy Curnin on vocals, Rupert Greenall on keyboards, Jamie West-Oram on guitar, Adam Woods on drums, and bassist Dan K. Brown. Now, The Fixx prepares to release its 10th studio album Beautiful Friction produced by Nick Jackson, mixed by longtime collaborator, Stephen W Tayler with additional mixes from Mark Needham. This collection of new songs, called “among their very best” will allowThe Fixx to prove once again that they are always evolving and seeking new musical horizons. With it’s combination of classic hits, and innovative new music, The Fixx continues to excite and inspire, both recorded, and in concert. 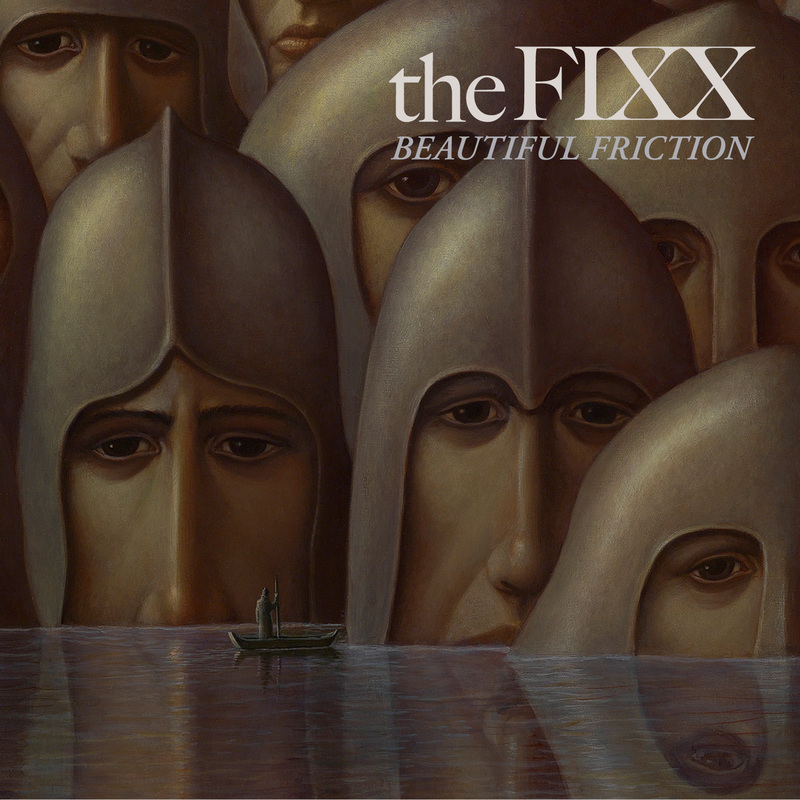 The Fixx will release their tenth studio album, Beautiful Frictionon July 17 via Kirtland Records.